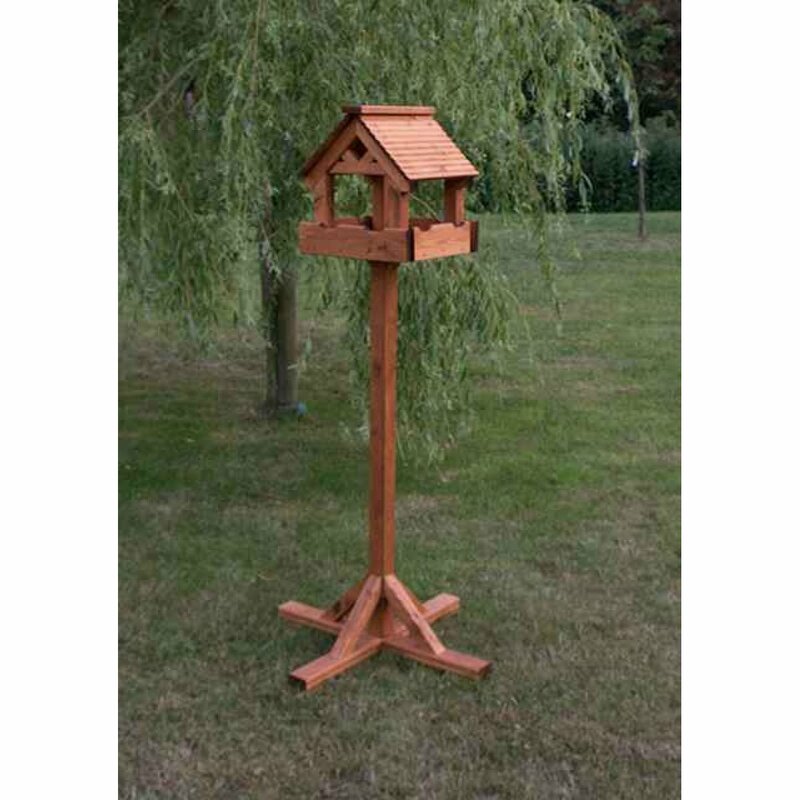 New to the riverside range is this solid wood bird table. A large imposing design based on a tudor summer house, and with excellent quality construction thoughrout. This is particularly suited to a larger traditional garden, and offers excellent viewing angles from all directions. A solid and sturdy base ensure it wont topple over easily. Hi there, if I purchased the lodge large bird table (£109.00 )will you assemble it for me please and have it delivered? I live in Combe Martin north Devon. Hi - would it be possible to have the large log cabin bird table in a smaller size. lovely website!